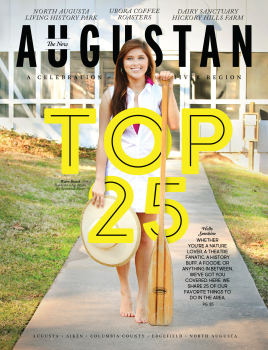 Boasting pleasant summers and mild winters, Augusta is an excellent year-round destination. Summers in Augusta have an average high temperature of 90.6 ˚F (32.6 °C) and an average low of 67.8 ˚F (19.9 °C). In the winter, the average high is 58.9 °F (14.9 °C) and the average low is 34.4 °F (1.3 °C). See below for a monthly breakdown of average temperatures in Augusta. If it&apos;s too warm or cold outside then head indoors to a local museum & gallery, see a live southern music performance, or spend a day shopping. Be sure to hit up Master&apos;s Week during the Spring months along with other outdoor activities. There is always something fun including annual events, free things to do with the family and local itineraries in Augusta GA.